Protecting the Rights and Interests of Our Clients 24/7 THYBERGLAW provides 30 years of experienced representation to individuals and small businesses in the cities of Roseville, Folsom, Sacramento, and surrounding communities. From transactional work to trial, we tailor our legal services to provide sound solutions for the varied issues faced by you or your business. Responsiveness is key, and we are hands-on in helping you achieve your goals while maximizing opportunities and overcoming obstacles. We provide personal, cost-effective and solution-driven representation from your initial consultation until the resolution of your legal issue. Your interests are our top priority. THYBERGLAW delivers diligent and comprehensive representation in the following areas: Business Litigation Employment Law Financial Elder Abuse Whistleblower/Qui Tam Whether you are wronged by your employer, forming a new business, need a contract drafted, a dispute settled, the victim of financial elder abuse, or a valid estate plan to protect your family and assets, THYBERGLAW is ready to help you. Attorney Greg Thyberg is a seasoned trial attorney and a skilled negotiator who is just as comfortable at the negotiation table as he is in court. Our goal is to keep you out of the courtroom when possible. However, when litigation is the only option, we tenaciously fight for justice on your behalf. Proudly Serving Clients in Northern California THYBERGLAW successfully serves individuals and businesses in the cities of Roseville, Folsom, Sacramento, Lincoln, Auburn, El Dorado Hills, and the surrounding areas in Northern California. We are available to clients 24 hours a day, 7 days a week. Experienced Representation in Northern California When you need help with a business litigation, employment law, or a trusts and estates matter, call THYBERGLAW at 916.204.9173 or contact the firm online to schedule your free initial consultation. THYBERGLAW is an official member of the Roseville Chamber in Roseville, CA. Find more Roseville businesses, coupons, and other legal at the Roseville Business Directory. Gregory Thyberg was admitted to the California State Bar in 1981. Mr. Thyberg began his legal career as a criminal prosecutor where he spent several thousand hours in the courtroom examining hundreds of witnesses. In 1986, Mr. Thyberg entered civil practice representing banks and financial institutions when Dinkelspiel & Dinkelspiel, one of San Francisco's oldest law firms, hired him as an associate. 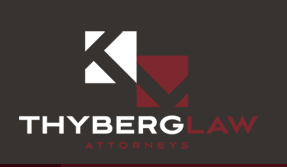 Over the past twenty-five years, Mr. Thyberg's practice has encompassed a broad range of legal matters including business and commercial disputes, insurance law and employment law. Mr. Thyberg's litigation experience includes opening a house counsel office for a major insurance company in Southern California where he was responsible for supervising a staff of attorneys in handling more than 400 litigation files. Mr. Thyberg has tried over 55 jury trials to verdict in courts throughout the State of California and has argued before the California Court of Appeal. He is admitted to practice before the United States District Courts for the Northern, Eastern and Central Districts of California. He served for ten years as a faculty member for the University of California, Hastings College of Trial and Appellate Advocacy where he taught trial skills to practicing attorneys. Mr. Thyberg has also held a faculty appointment as a lecturer at the University of California, Davis, School of Law where he taught arbitration, mediation and negotiation skills. Mr. Thyberg has served as mediator for more than 15 years and has completed 42 hours of mediation training at the Pepperdine University's Straus Institute for Dispute Resolution. He has served as a Judge Pro Tem/Settlement Officer for the Sacramento, San Francisco and Los Angeles County Superior Courts. Mr. Thyberg has been a lecturer for various continuing legal education programs, including seminars sponsored by the Bay Area Legal Secretaries Forum, Legal Secretaries, Inc. and San Francisco Trial Lawyer's Association. He has also appeared on several national news programs including the CBS Early Show, Fox News, The Big Story with John Gibson, and Geraldo Rivera Live. Mr. Thyberg earned his B.A. degree from the University of California Berkeley with High Honors in Economics and Distinction in General Scholarship in 1978. He earned his J.D. from UC Davis Law School in 1981 and an LL.M. in International Law from The London School of Economics and Political Science, University of London, England in 1982. In 2006, Mr. Thyberg earned an M.A. degree in Christian Apologetics, with High Honors, from Biola University.